International Woman’s Day is celebrated and most countries are committing to the creation of opportunities for women and to end violence and discrimination. 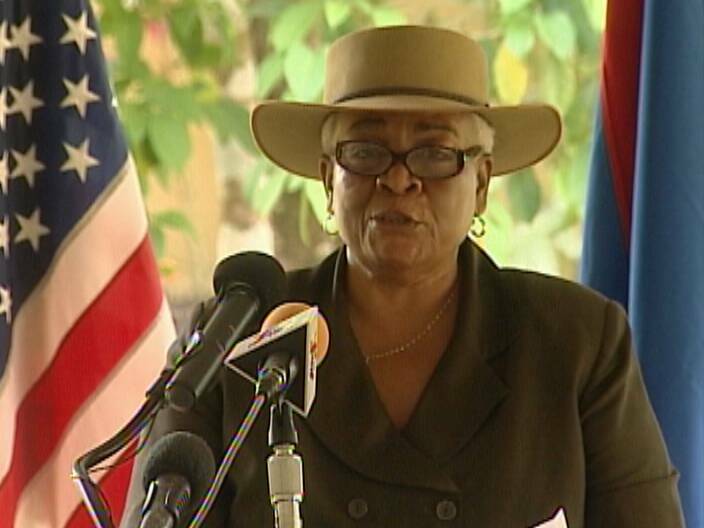 In Belmopan, a ceremony hosted by the US Embassy took place to pay homage to outstanding women. Ten notable females from many walks of life were nominated and one very accomplished woman was selected for her stellar work and accomplishments in public life. Duane Moody reports. The fourth annual Belize Woman of the Year Award Ceremony was held today as customary at the residence of U.S. Ambassador to Belize, Vinai Thummalapally. Taking the esteemed title this year is former Minister of Defense and National Emergency Management as well as Human Development, Dangriga resident, Sylvia Flores. Apart from wearing the hat as minister, Flores was a teacher in Stann Creek for over twenty-six years teaching Spanish and English; Flores is known for assisting young women to realize their potential. And from a list of ten nominees, a panel of judges selected Flores as the award winner. Executive Director of the National Women’s Commission, Ann-Marie Williams also spoke to the gathering; rightly so since today is recognized as International Women’s Day. The other women nominated for the title were Victoria Hernandez, Joan Burke, Yolanda Murray, Adele Ramos, Mapye Smith, Cynthia Ellis Topsey, Sharon Pitts, Cristina Coc and Dacia Crawford Tillett. They were also given certificates courtesy of the Embassy. Duane Moody for News Five.